2nd & 4th Wednesday, except the 3rd Tuesday of November and December at 6:30 P.M. The inaugural Tallmadge Flea was held on Sunday, September 30, 2018. The weather was cloudy, but the Flea was clearly a success. Check out a short video of the vendors and visitors. Many thanks to all who made this a success. The Tallmadge Lions presented the Builders Club with a check for the proceeds from the March 10th Spaghetti Dinner. 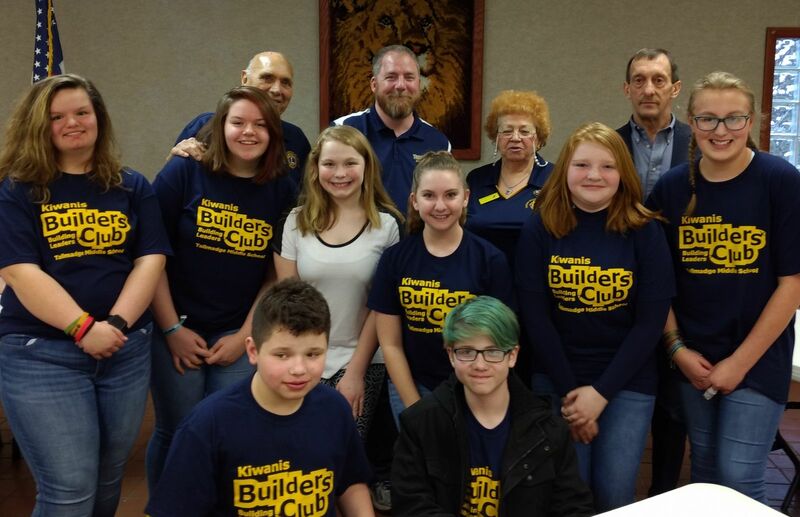 The Builders Club worked with the Lions at the dinner to ensure it was a succes and their hard work paid off with a check for over $580.00. 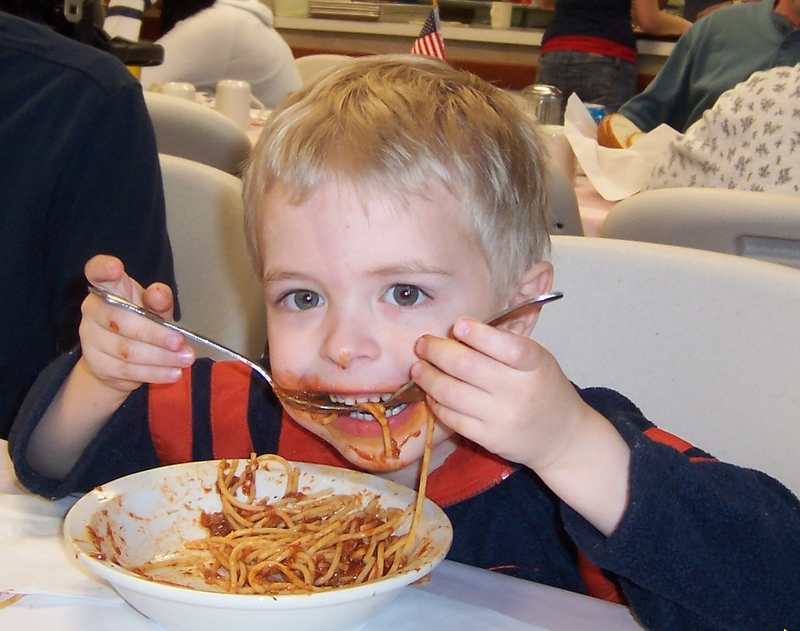 Dinner includes beverage, salad, bread, all you care to eat spaghetti and dessert. Only $8.00 for adults and $3.00 for children 12 and under. Busy? Call ahead for our take-out service - 330-630-3120. 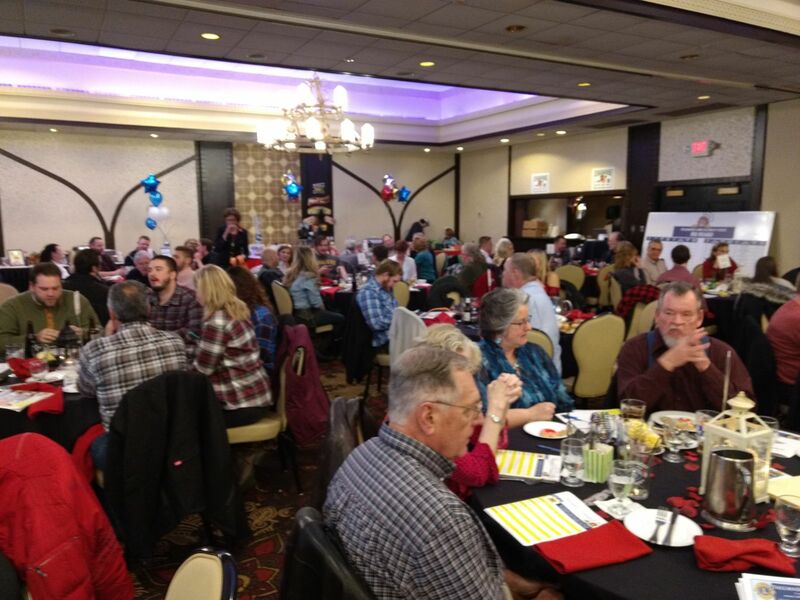 This year's event was a delicious success. 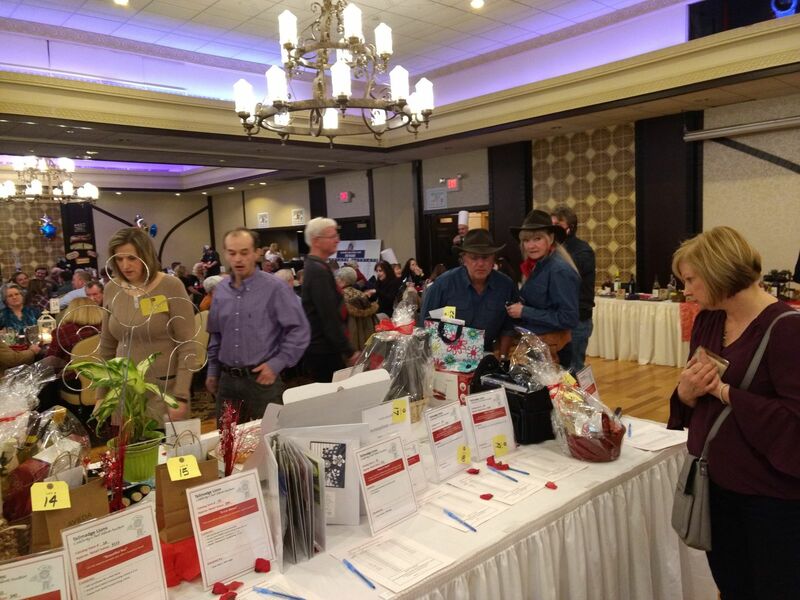 With seventeen chefs providing samples of their culinary cuisine and over fourty auction items as well as over twenty wine raffle winning tickets! We hope to have more pictures from the event coming soon. WE DO VISION SCREENINGS - click here to see the calendar of screenings. Want an easy way to help the support research and help those with Juvenile Diabetes? 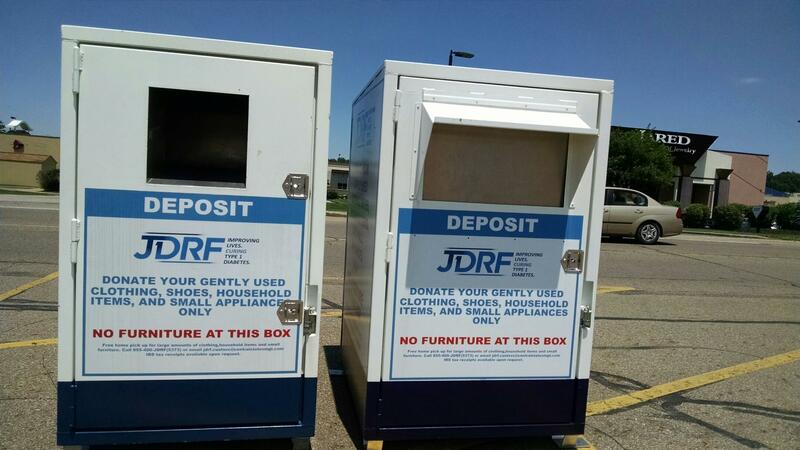 Just swing by the Howe Road Shopping Plaza and drop off unwanted items at the collection bins! 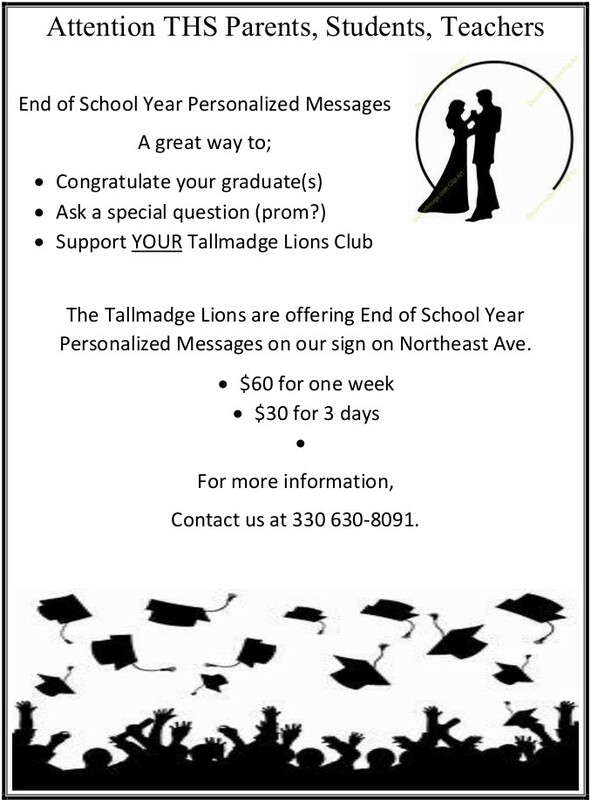 YOU CAN RENT TALLMADGE LIONS HALL! For Rental Information call 330-633-0855 between 9AM and 2PM local Monday through Friday or send your name, the date required and your phone number by email to PShonk@tallmadge-ohio.org. The hall includes a complete kitchen with coffee maker, six burner stove, oven, microwave, cooking utensils, pots, pans, flatware, dishes etc. The hall seats 100 (capacity 125) with table and chairs provided for you to set up as you prefer. There are sixteen eight foot long tables, and eight six foot round tables with folding chairs to seat 115. The hall is air conditioned, and has a projection screen for your business or social meetings. It is located in Tallmadge Lions Park with lots of room for outdoor activities and ample parking. 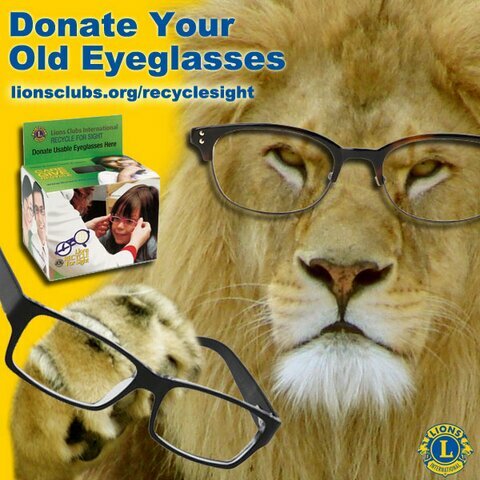 Eyeglass Recycling - Our club collects used, unwanted eyeglasses through multiple collection boxes located throughout the city, or just put them in the box at Tallmadge Lions Hall in Lions Park. If you have any old pairs or eyeglasses lying around your home, please take them to one of our collection boxes and we will recycle them and get them to a person in need. Each year our club collects approximately 1,000 pair of eyeglasses through this recycling program. Please help give others the Gift of Sight!